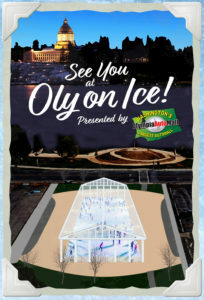 While winter may be far from our minds as everyone is out enjoying the warm summer weather, the City of Olympia Parks, Arts & Recreation department is hard at work planning Oly on Ice, presented by Olympia Auto Mall. This seasonal, outdoor ice skating rink is set to open in mid-November and run into the first weekend in January. 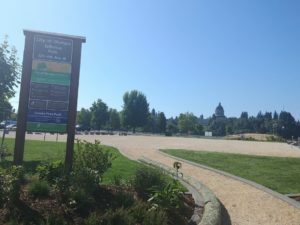 The project is currently under development and preparations are being made at the Isthmus Park downtown, across from Capitol Lake between 4th and 5th Avenues. At 100 feet long by 40 feet wide, the sheltered rink will be able to host up to 125 skaters at a time, and will be managed by Ice Rink Events, a professional company that produces and manages rinks throughout the country. With a moderate sized rink planned, the idea is to leave enough room for additional seating and vendor booths. 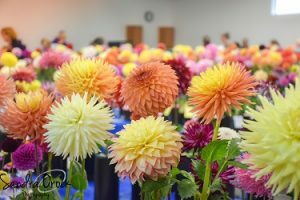 Currently, a team has begun organizing future programming projects for the rink, such as themed events, ice-related recreational activities, food trucks, and live music. Though the rink will not be up until later in the year, the park itself is newly open to the public. It is designated as an interim use park, which means the space has been developed by the city and can be used for various public purposes. With a bike shelter, benches, grassy and landscaped spaces, public art, 20 dedicated parking stalls, and a crushed marble open space area similar to what is found around the Heritage Park Fountain, the Isthmus Park is a great, useable outdoor space. Current planning partners for the rink include Olympia Downtown Alliance, Thurston Economic Development Council, and Experience Olympia. But the city is still recruiting program and monetary sponsors at various commitment levels for the project. Financial sponsorships will help to offset operating expenses and keep the admission costs down for guests. 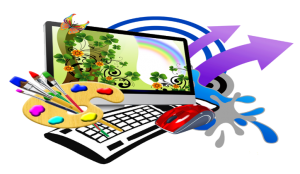 There are a variety of sponsorship levels that are accessible to organizations and businesses of all sizes. The Daily Sponsor level is a great opportunity for local businesses to have a presence at the rink for things like holiday pop-up shops. In additional to financial sponsorships, if local agencies or businesses are interested in bringing in a night of programming to the rink, those opportunities are available. 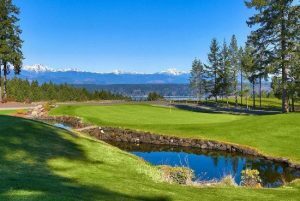 Interested partners can contact Anna at arobinso@ci.olympia.wa.us. Once sponsor partnerships and programming have all been established, the final step will be formalizing the logistics and loading in the actual rink. And before we know it, the winter holidays will be back, this time with lots of fun at Oly on Ice. For more updates on the project, visit the Oly on Ice website. 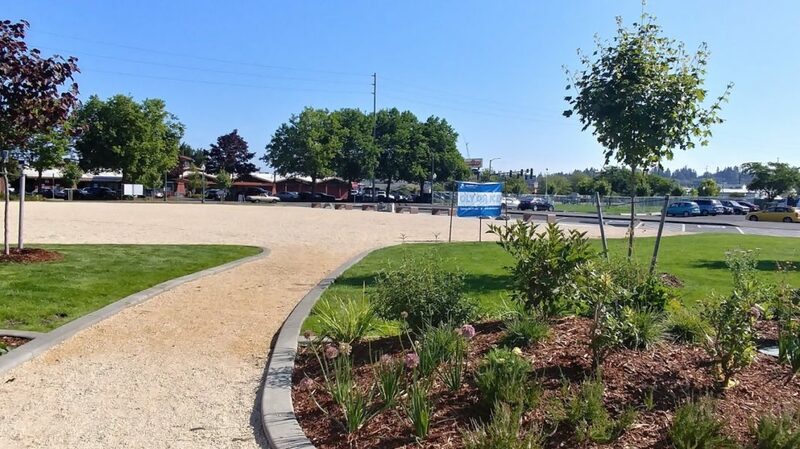 The Isthmus Park is located at 529 4th Avenue West, Olympia.